Over the last week or so the high street has been at the centre of discussions. The closure of Jessops, closely followed by HMV and Blockbuster, has prompted soul searching about the future of the high street. Beyond the discussions about the need for a new leisure sector focused high street, or about the kinds of businesses likely to be left on the high street in ten years (high end goods and last minute purchases says Hamish McRae at The Independent), a lot of the discussions I’ve seen or taken part in entail solutions where the high street is supported by collaboration, co-operation and networks of businesses. One suggestion I’ve seen is that employee ownership can help save the high street. With John Lewis’s sales figures so good, it’s not surprising. And there is of course strong evidence that employees who own a business are more committed to helping it perform well. But of course, engaged employees are only part of the answer – a market, competitive pricing, good consumer experience, and online commerce is essential, as John Lewis itself would be the first to say. 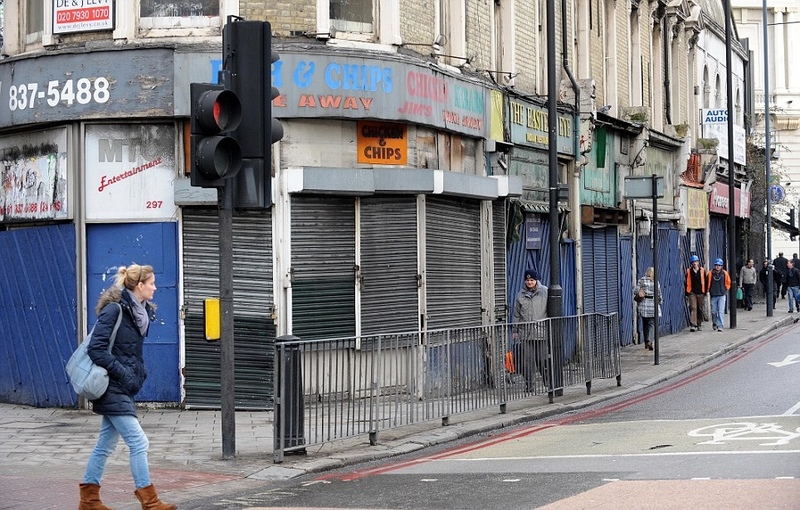 Pop-up shops have also emerged to fill the growing number of empty high street premises. This is a growing movement of imaginative temporary shops and exhibitions, using retail space not currently taken. The pop-up shops network has risen to prominence over the last few years, thanks in large part to the fantastic Empty Shops Network, as ideas turn to entrepreneurial action. An idea I’ve discussed with people but not seen in the media yet is businesses on the high street getting together to save costs. This is working well already, in a way that many people don’t realise. Take Nisa, for example. Across the UK over 4,000 local shop owners are members of Nisa, a mutual, to benefit from it’s purchasing power and joint branding. And Nisa’s latest sales figures are up. There are other examples too – The Hive Network brings together local book shops, a new co-operative called Mica brings together local DIY shops. Wherever there’s common purchasing needs, this can work. Another similar suggestion is local traders collaborating to jointly market their high street as a destination or a place to shop. In my local area (Calderdale) there is a Totally Local initiative, which has a common brand that shops can use to show their commitment to the local area and list their local suppliers. On the BBC programme Village SOS a year or so ago campaigners in Tideswell in the Peak District encouraged local shops to adopt a common brand. More radically, some areas are rewarding shoppers for shopping local and even starting their own currency, like the Brixton Pound, to keep money in the local economy. And I’ve talked with people about community initiatives to save local shops and services – another option that’s starting to happen up and down the country. Over 300 village shops have been saved by local people investing time and money to take it over themselves. There are 12 pubs running like this. And we’ve seen toy shops, bakeries, health food shops, local stores – all have been saved through community shares schemes. We are likely to see this grow as the model is accepted. There is of course no one solution, collaborative or otherwise. The high street is changing fast and with the rise of online and the threat of a triple dip recession, there are many ways the high street could go. There’s no doubt, though, that the collaborative economy could be a key part of a future high street that continues to serve the shopping needs of local people. I keep coming across Indie Bound – it’s an alliance of people committed to independent booksellers, providing independent bookshops with cost effective point of sale materials that enables them to promote their unique selling point, namely, the fact that they are a local independent bookshop. IndieBound is a community-oriented movement begun by the independent bookseller members of the American Booksellers Association and adopted into the UK in 2010. It brings together booksellers, readers, indie retailers, local business alliances, and anyone else with a passionate belief that healthy local economies help communities thrive. Supporting local, independent businesses means that pounds, jobs, diversity and choices stay local, creating strong, unique communities. Here’s a bookmark I got when I bought a book from local bookshop, advertising independent book sellers week la while ago. With a nice quote on the back. It’s a great concept and a great business idea – by collaborating, sharing costs of materials and promoting a common message and identity local bookshops might be able to compete with Amazon and other online book retailers that do not have the overheads of local indies. Independent Book Sellers Week runs from 29 June to 6 July this year, 2013. We tell ourselves a story about ourselves and ignore everything that doesn’t fit. When we talk about the businesses in the UK economy, we generally talk about PLCs. UK PLC. You think business, you think Orange, Top Shop etc. Just reading the Metro the other day, there were 8 business stories: 2 good stories about Plcs, 3 bad stories about Plcs, 1 good story about mutuals and 1 good story about an independent. The point? There’s much more going on in the economy than the ups and downs of Plcs. There are independents and mutuals. Family owned businesses. A whole load of different ways of doing business that don’t register in the story we tell ourselves about the businesses in our economy. In fact the majority of the jobs in the UK private sector are in SMEs, not PLCs.